Hamanereid. Pencil and charcoal on hot pressed watercolour paper, 150 mm squared. #MerMay #4. The Hamanereid lures prey with its array of membranous, barbed tentacles, which it then despatches with a fatal sting. A hamanereid has enough venom to fell a walrus in one stroke if it chooses, though seldom has need of such a quantity. Merhag. Pencil and charcoal on hot pressed watercolour paper, 150 x 150 mm. 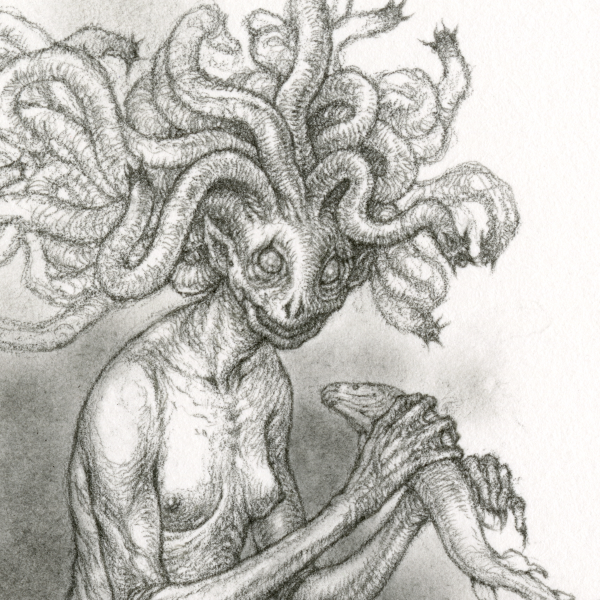 The Merhag is upon the whole fairly harmless, feeding largely on marine carrion. Detail (approximately 70 mm squared). 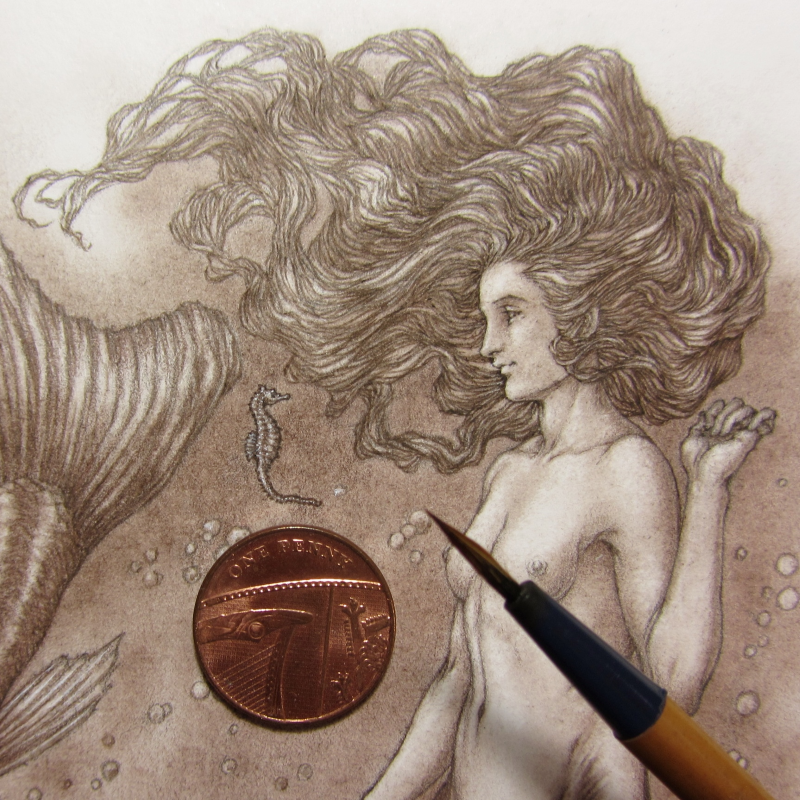 The Siren and the Seahorse. 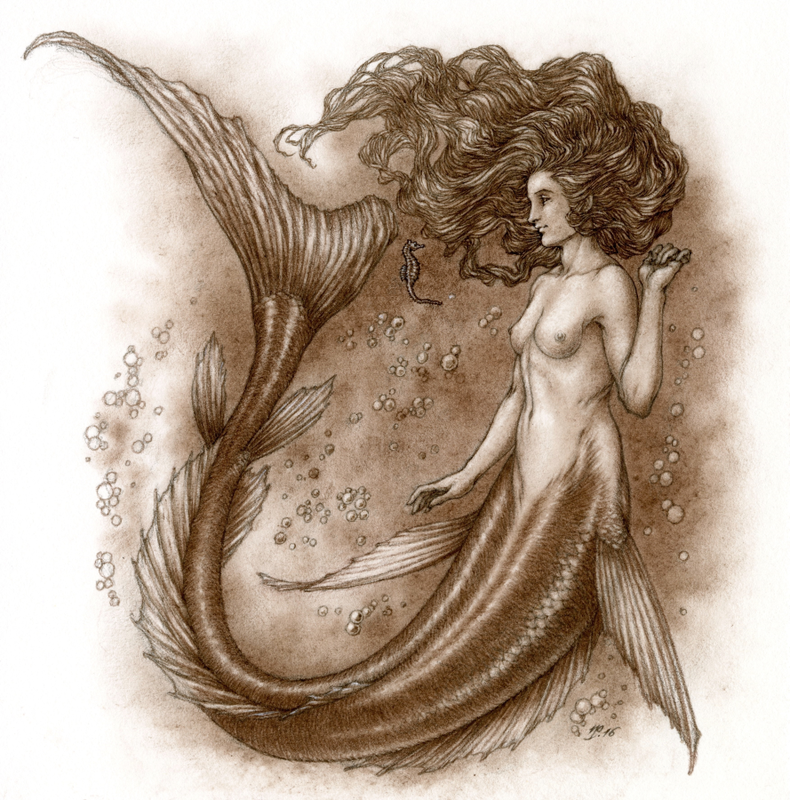 Graphite and brown pencils, sepia powder and sepia ink on Fluid hot pressed watercolour paper, 150 x 150 mm. 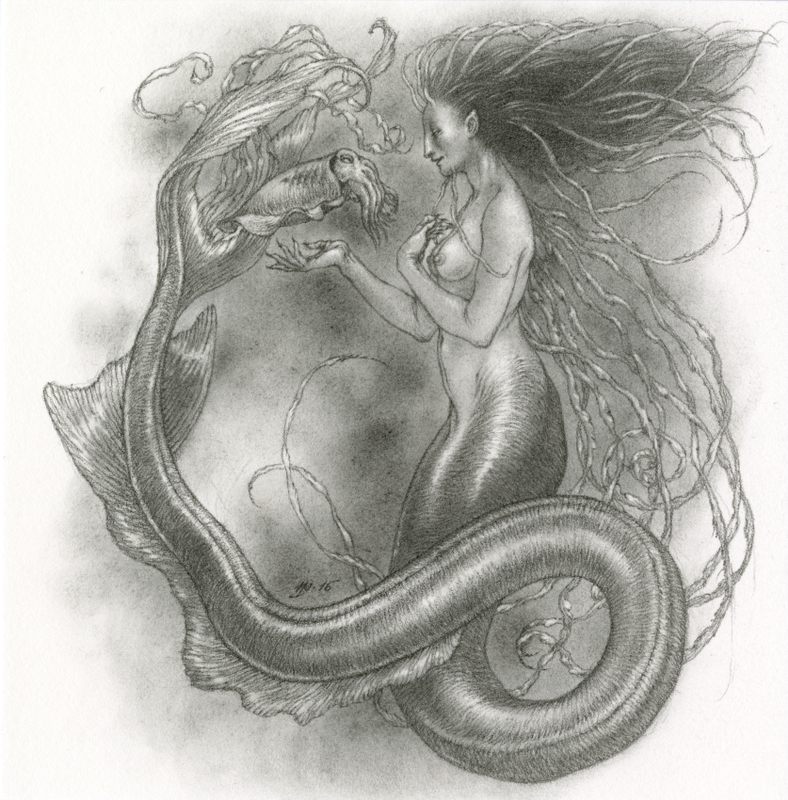 #MerMay number 2, The Siren and the Seahorse. The little seahorse detail is probably the size of an actual seahorse fry. 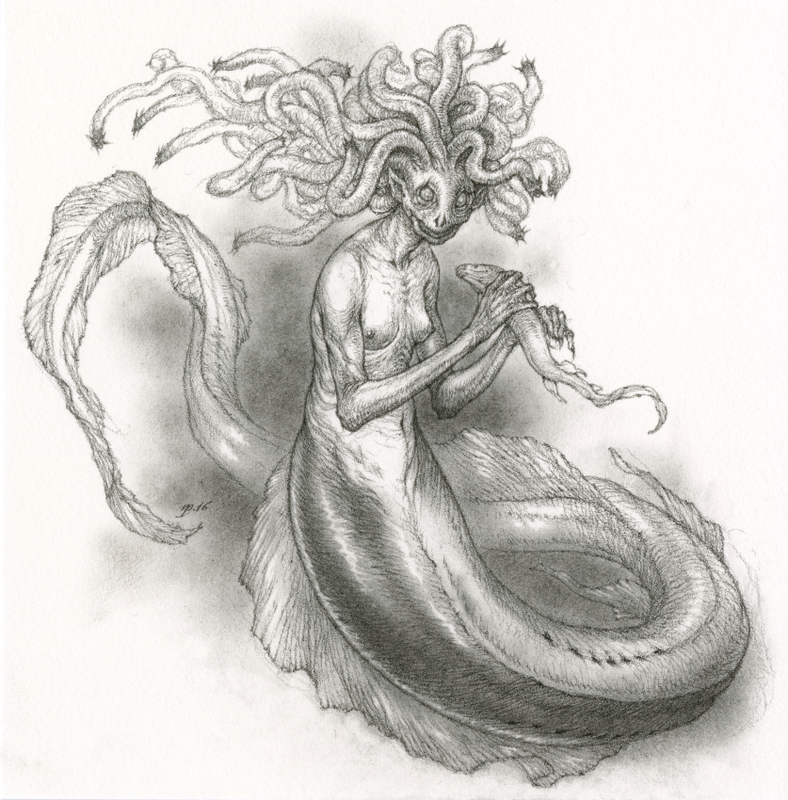 #MerMay is the creation of animator, Tom Bancroft, and is a challenge whereby one posts a mermaid drawing each day for the month of May. 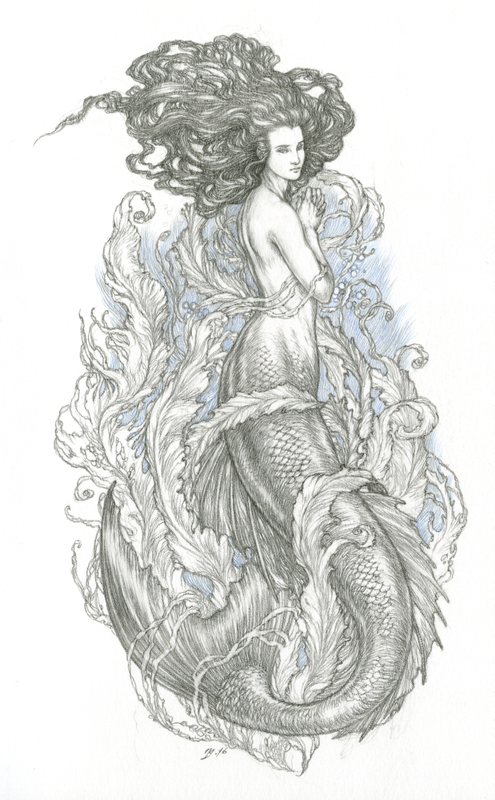 Now, anyone who knows me at all knows that it is entirely impossible for me to complete this challenge to its fullest condition, even had I no other work to do but to simply draw a mermaid every day. So my contribution to this would be to try and do one whenever I can squeeze it in for the month. 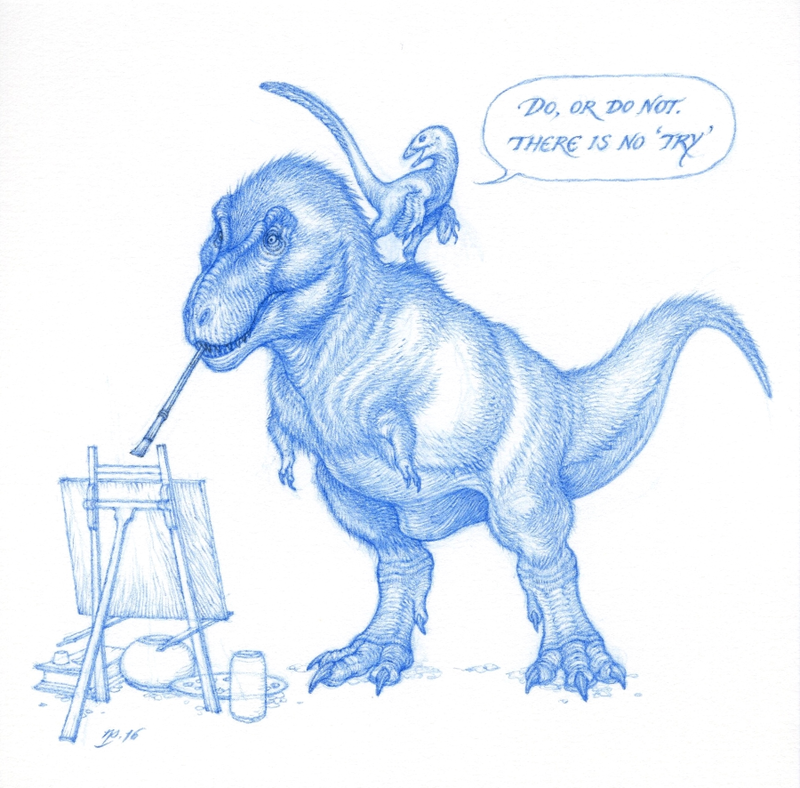 Of course, having once dipped my tail in, I find myself completely carried away by my first piece. I originally aimed for a sketchy sort of drawing and never meant to get this far. And having got this far, I’m not actually sure I like it. 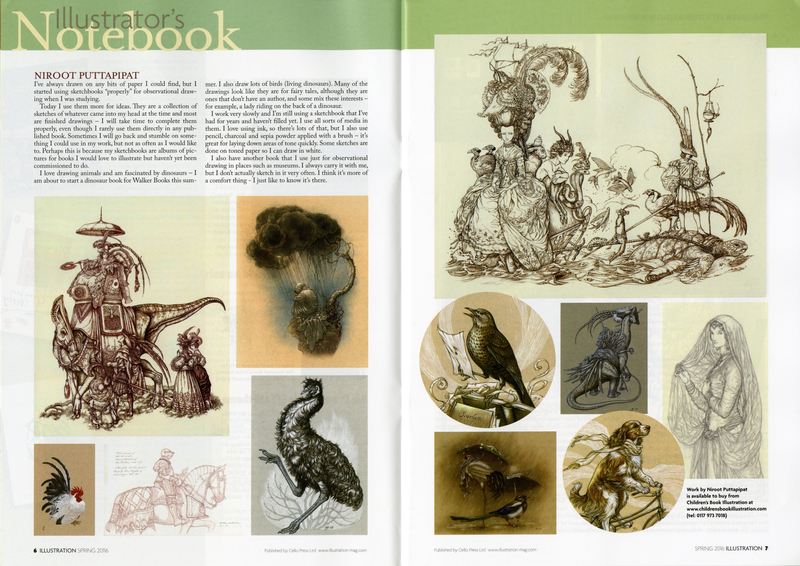 Pencil in Stillman & Birn Zeta Series sketchbook, approx. 135 x 210 mm.